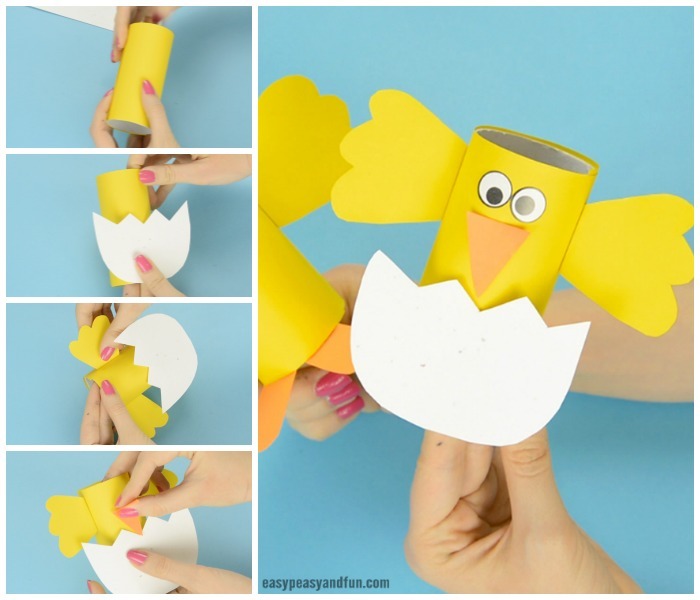 Have a pile of paper rolls? 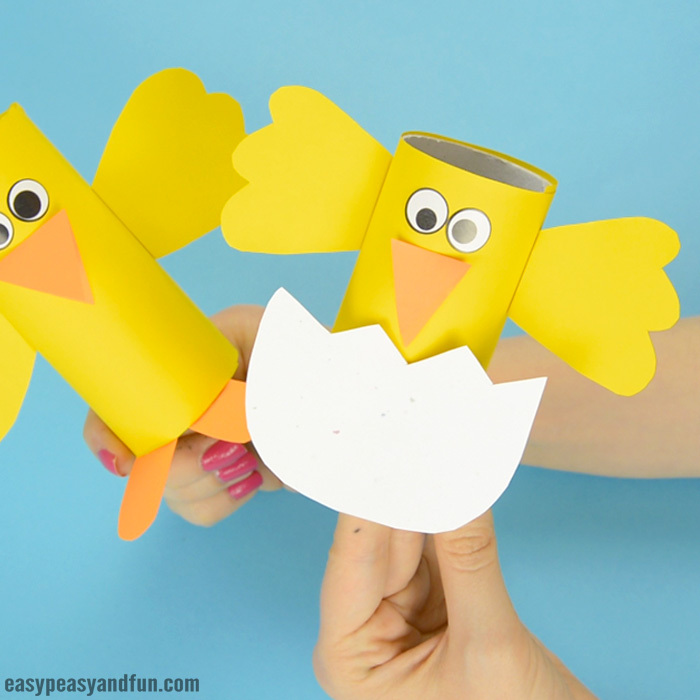 Why not make a chick toilet paper roll craft, well or a dozen as this is the perfect Easter toilet paper roll project. 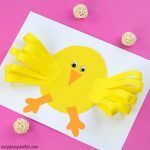 We’ve made two versions of chick in this one, let’s say a brother and sister, one fully hatched and one just coming out of his or her egg shell. 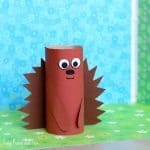 We love frugal crafting material and toilet paper rolls (or paper kitchen towel rolls if you are not a fan of toilet paper rolls) fit the bill. 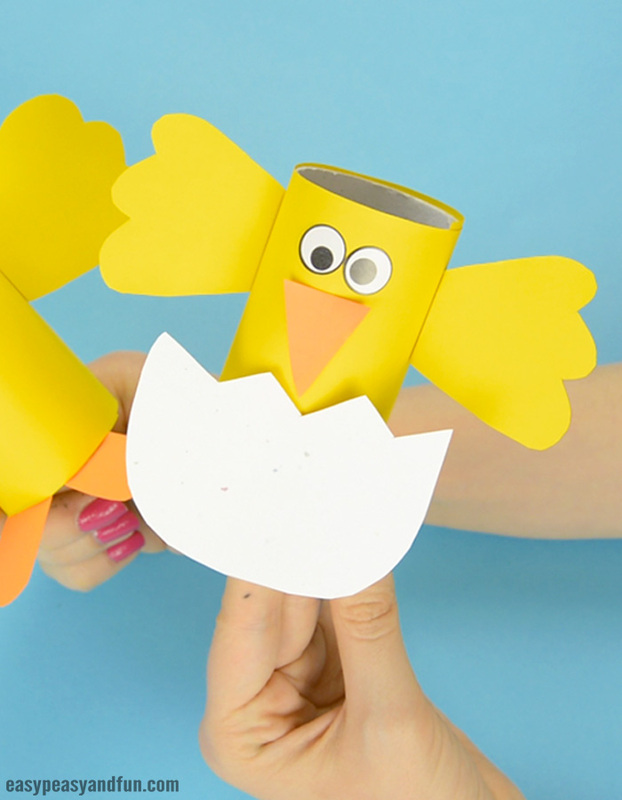 There are all kinds of fun activities kids can do with them, from crafts to learning games… This time, with Easter slowly closing in, we’re focusing on a crafty project – the little chicks. 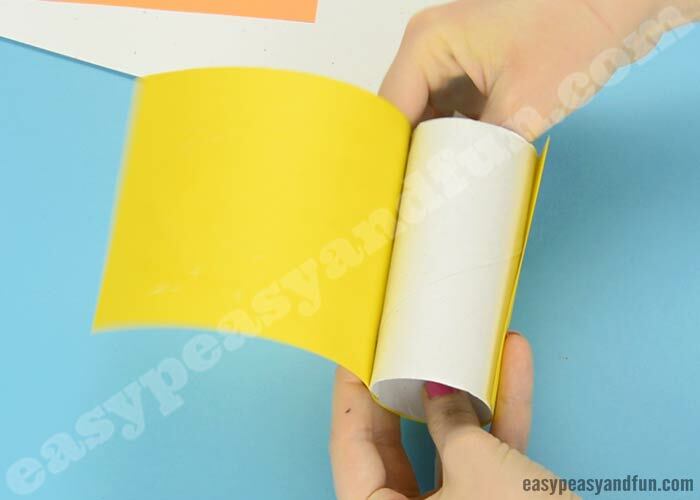 optional: white cardstock paper for the egg shell – I recommend Astrobrights Stardust White paper as it has specks of color in it and looks so natural. 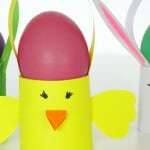 Also check our collection of other Easter crafts for kids to make. 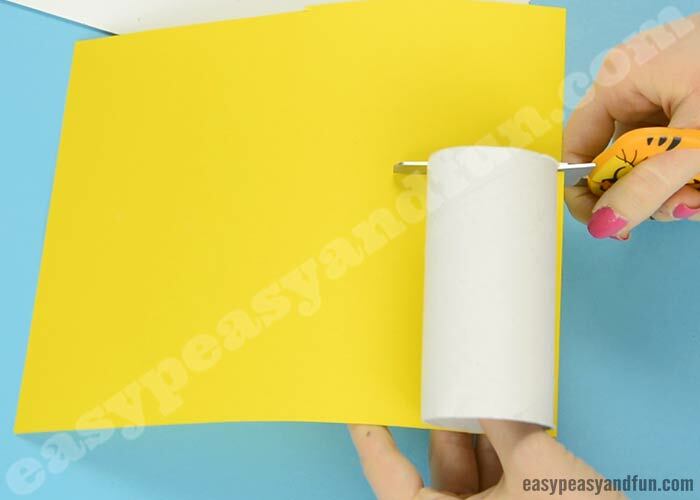 Start by making your toilet paper roll yellow :). 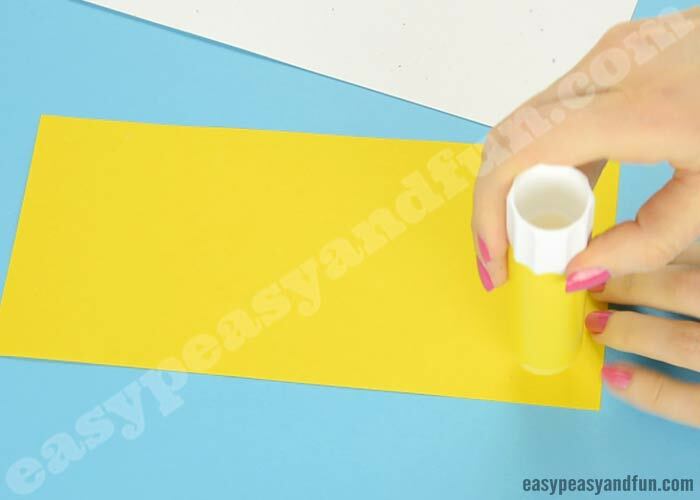 You can do this either by painting it yellow or by wrapping it in yellow paper. We’re going the paper route here. 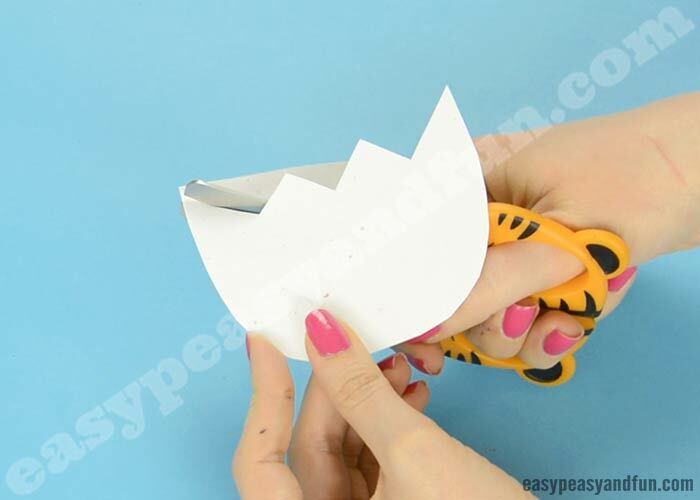 Cut a strip of paper in the same width as is the height of the toilet paper roll. 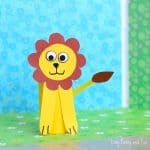 Apply glue across the strip of paper. 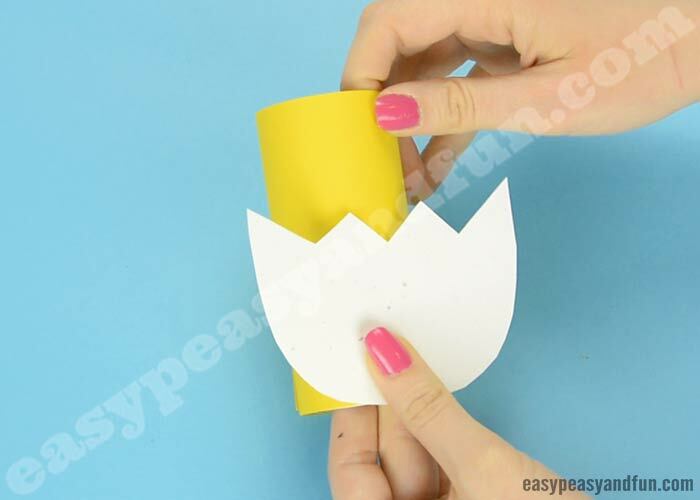 And glue it around the toilet paper roll. 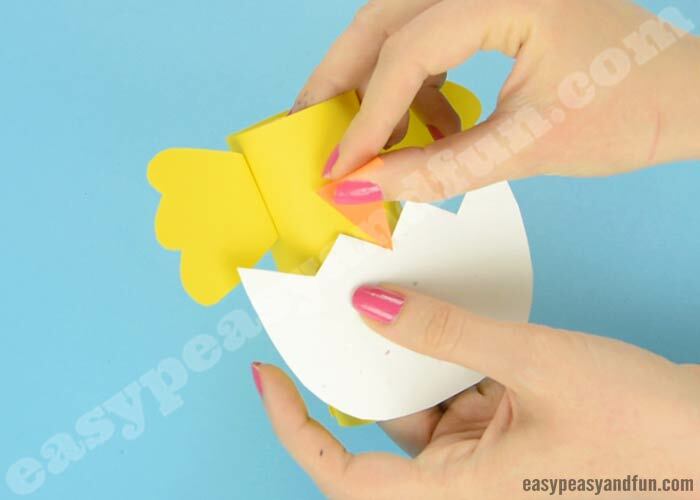 If you’re making a chick in the egg, cut a cracked egg shell – make it’s height a bit less than the half of the toilet paper roll height. 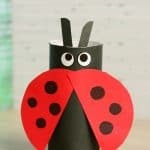 Stick it onto the paper roll. 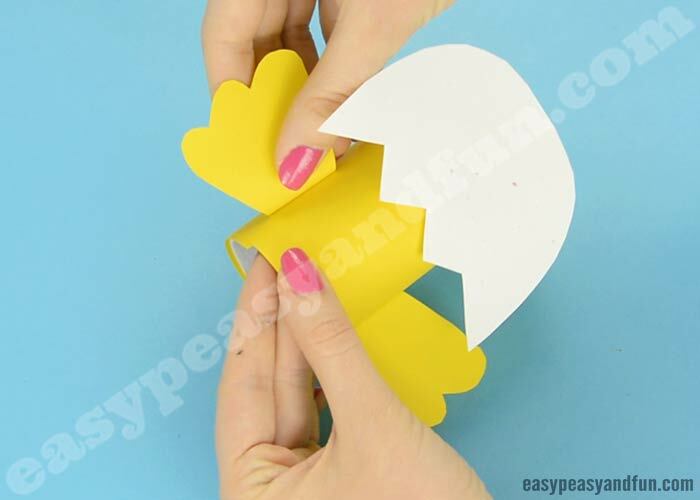 Cut the wings out of yellow paper. 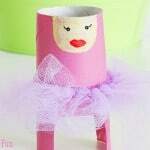 Stick them onto your toilet paper roll chick. 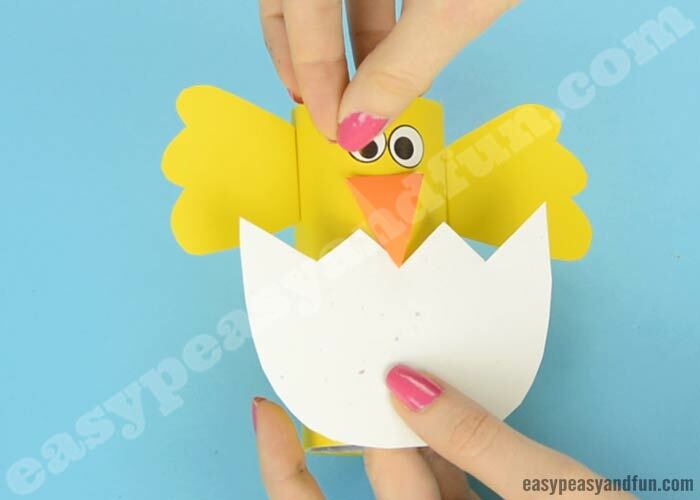 Cut a beak out of orange paper and glue it onto your chick too. 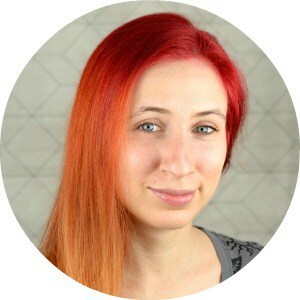 Last but not least stick on the eyes.